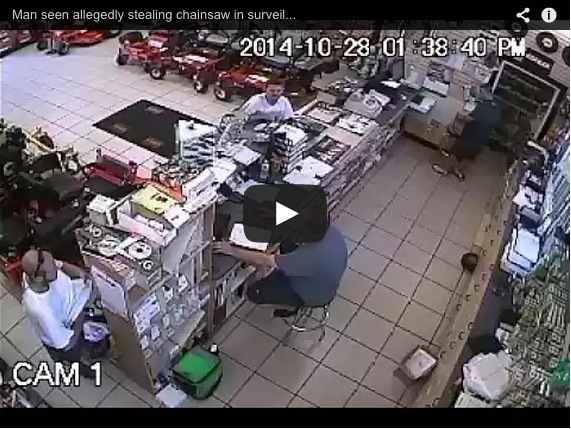 LOOK: Man Shoplifts Chainsaw, Puts It Down His Shorts. Now stealing a bag of chips or a soda and sticking them down your pants is one thing, but leave it to Florida to have the craziest shoplifting video that I’ve ever seen. This Florida man was recently caught on surveillance video shoving a chainsaw down his shorts and then walking out of the hardware store. The footage was posted by a local newspaper onto YouTube after they obtained the footage. The suspect, 28-year-old Anthony Ballard, stole said chainsaw from Treasure Coast Lawn in Port St. Lucie, Florida. 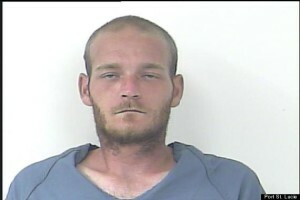 Ballard was charged with grand theft and transported to St. Lucie County Jail, according to WPTV. Check out the surveillance video below, share and let us know what you think. What’s the craziest thing you’ve ever seen stolen? The World’s First Animated Tattoo, Would You Get One?